Have you ever felt a “pit” in your stomach, or a change in your appetite (or bathroom habits) when you’re stressed? Have you felt your heart and mind race when you’re afraid? Have you felt calm and tranquil when you’re blissfully enjoying life’s moments? These are examples of the mind-body connection. As a yoga teacher I’ve been teaching weekly classes and workshops on daily rituals, meditation, and ayurveda- all of which have creating a body-mind connection in common. Here’s the great part; the more we understand the connection of the mind and body, the more we can use it to our advantage to improve our health and our lives. The “mind” we’re referring to includes the mental states of thoughts, beliefs, and emotions. The mind and heart are thought to form the “psycho-emotional” roots of health and disease. Negative emotions like anger, fear, guilt, and sadness can contribute to imbalances in our body, and eventually manifest as disease. Sometimes when we feel these emotions, our bodies react with digestive issues, aches and pains, and in other physical ways as well. Have you experienced this before? I know it’s happened to me plenty of times. This powerful link between our minds and bodies is the fascinating observation that improving one’s mood and outlook can reduce inflammation and even improve cancer survival! Pretty fascinating, right? The “law of attraction” is a similar concept. 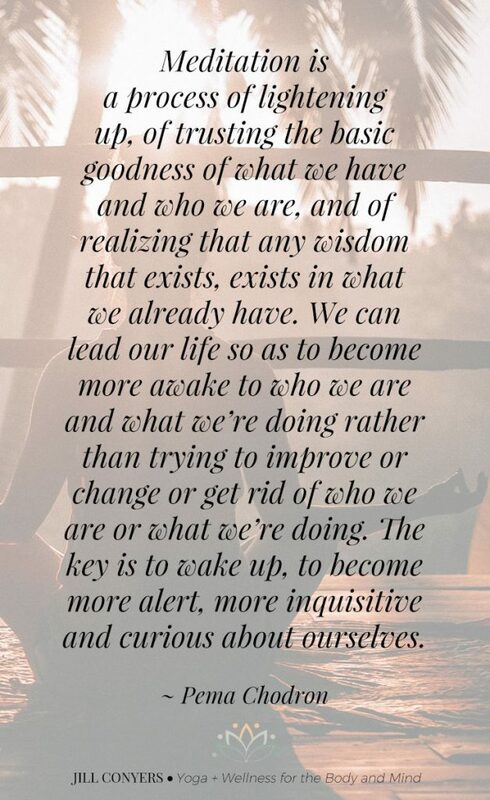 It’s about using the power of the mind to transform our thoughts into reality. Have you ever focused your attention on something negative that you’re sure will happen… and it eventually does? Or the opposite; you’re hoping and working toward an amazing goal, focusing your mental energy on it, and you finally reach it These are referred to as the power of the law of attraction. Thoughts and emotions carry vibrations throughout our bodies. These vibrations can affect our cells. This is because our cells, hormones, and neurotransmitters are all made from atoms and molecules that are in a constant state of motion. This motion within our mind has a frequency that can influence other frequencies in our bodies. There is a growing amount of research on the effect of stress on our physical bodies. But, how is this feasible? What physical channels are there that can possibly link the mind and the body? Direct links between the mind and body include the nerves and biochemical compounds (i.e. hormones, neurotransmitters, etc.). Both of these travel between the brain and the body sending messages in all directions. Different mental states influence our physical health for the better or worse. For example, feeling overly worried can trigger stress hormones like cortisol and adrenaline/epinephrine. It can also activate the “fight or flight” part of our nervous systems (called the “sympathetic” nervous system). When these are activated, they can physically suppress our immune systems, and make us more susceptible to infections. They can affect our heartbeat and breathing. Over the long run, they are thought to worsen heart and other health issues. In fact, scientists have mapped out different areas in our brains and bodies that are activated when people experience different emotions. One study showed that people who repress emotions are more likely to have an imbalance in the stress hormone cortisol than people who express their emotions. It’s thought that long-term psychological stress can even increase our risk of cancer and heart disease. Emotions can indirectly affect our physical bodies as well. Oftentimes, how we feel affects the way we behave – whether we turn to or away from healthy foods, exercise, and sleep. Over the long-run, these habits and behaviors can take a toll on our physical health. These work in the other direction as well, whereby after we eat, exercise, and/or sleep, we feel different emotions than we did beforehand. Think about what you do when you’re feeling stressed or sad. Do you turn to (and devour) sweets and maybe skip your workout, for example? It’s also possible that you lose your appetite during times of stress. Do you find it easier to stay on track with your food choices and exercise routine when you’re happy and content? These are examples of the mind-body connection too. 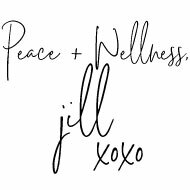 peace, and lead to a higher level of physical health and wellness. Mindfulness meditation helps to focus the attention on the present moment. It’s an ancient practice that can help calm the mind and relax the body. The 2007 National Health Interview Survey found that 20 million U.S. adults use meditation for health purposes. Meditation is also used reduce fatigue, lower feelings of stress, help improve mood and sleep, and help cope with pain and illness. It can help to focus attention and increase self-awareness. Modern neuroscience has associated the meditative state with changes in the electrical function of the brain. Meditation is considered a safe practice when performed correctly. If you have physical limitations, then there may be some movement-based practices that should be avoided. To begin non-movement based meditating, there are many free videos, audios, and apps available that can guide you through meditation. Three great apps (available on iOs and Android) include: Head Space, Calm, and The Mindfulness app. My personal favorite is Calm, but check out different ones to see what you like best. Yoga combines the use of physical postures, breathing exercises, and meditation. It is sometimes used to help reduce pain, and improve moods. Yoga is considered safe when practiced appropriately. Some people should avoid certain poses, so working with an experienced instructor who can suggest safe modifications is recommended. If you’re brand new to yoga, it can feel a bit intimidating, so one option is to check out streaming online yoga classes. Just search “streaming yoga classes” and you’ll find many to choose from. movements with mental focus and breathing. Research shows that practicing tai chi improves balance and stability, and can reduce the risk of falls. It can also help with pain, fatigue, and moods. 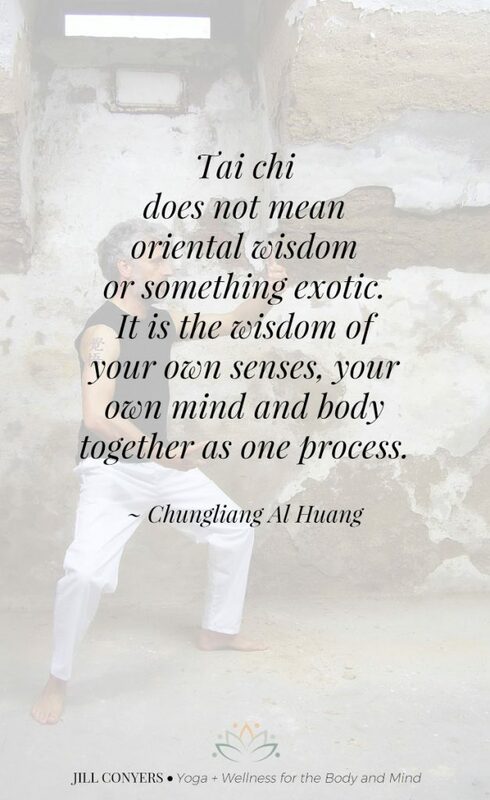 You can look for tai chi classes in your area, purchase DVD’s or check out streaming videos. Acupuncture comes from traditional Chinese medicine. It’s a technique that uses thin needles strategically inserted into the skin at specific points on the body. It is used to help with many types of pain. Acupuncture is considered safe when performed by a well-trained experienced practitioner. Massage therapy is a very popular mind-body practice. 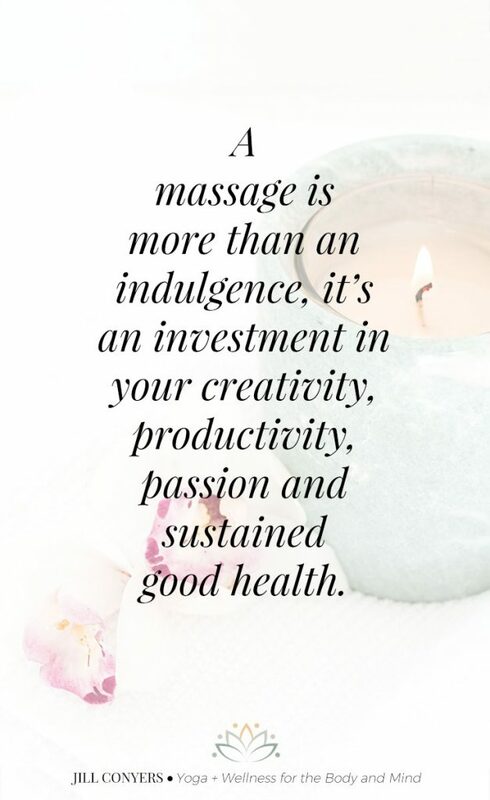 Massage therapists work on muscle and other soft tissues to help you to relax and feel better. reduce fatigue and stress, promote relaxation, and improve moods. Massage therapy is considered to be a safe practice when performed by a trained practitioner. The way you think and feel can help to feed health or disease. Your thoughts, beliefs, and emotions can affect your body directly (through nerves and hormones) and indirectly (by influencing habits and behaviors). Some of the common health concerns that many people use mind-body practices for are fatigue, stress, pain, and moods. There are many different mind-body practices including, mindfulness meditation, yoga, tai chi, acupuncture, and massage therapy. What can you start implementing today? I love helping my clients and students find ways to reduce stress, and help them recognize the mind-body connection and how it may affect their overall health and happiness. It’s always best to speak with your healthcare provider before beginning any type of health practice. When choosing a practitioner to guide you through a mind-body practice, ensure they are qualified and experienced, and can make any modifications necessary to support your current state of health. 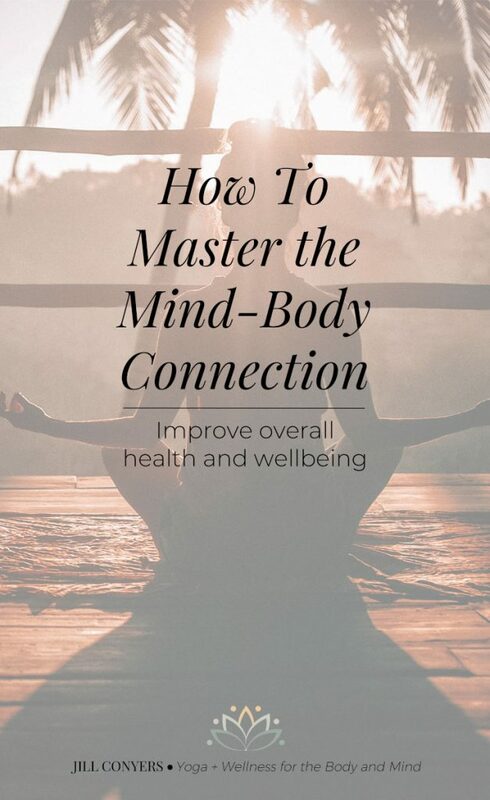 Check out the Yoga & Wellness Shop for tools and resources to begin mastering the body-mind connection. SO much power in mindfulness and trying to implement these ideas! Love how this can make it happen. Really great info. I’ve been working on creating a meditation practice this year. I’m not great at it yet but there are days I really feel centered from doing it so I am keeping at it. This is such a great post Jill. The mind-body connection is so important! What a wonderful post about the mind body connection. I am trying to work on this and have been taking more yoga classes. I need to schedule more time more massage and make time for mindfulness practice. Great post! I’m really trying to work on mindfulness this year. I definitely feel butterflies in my stomach when I’m anxious so I know the connection is so strong.